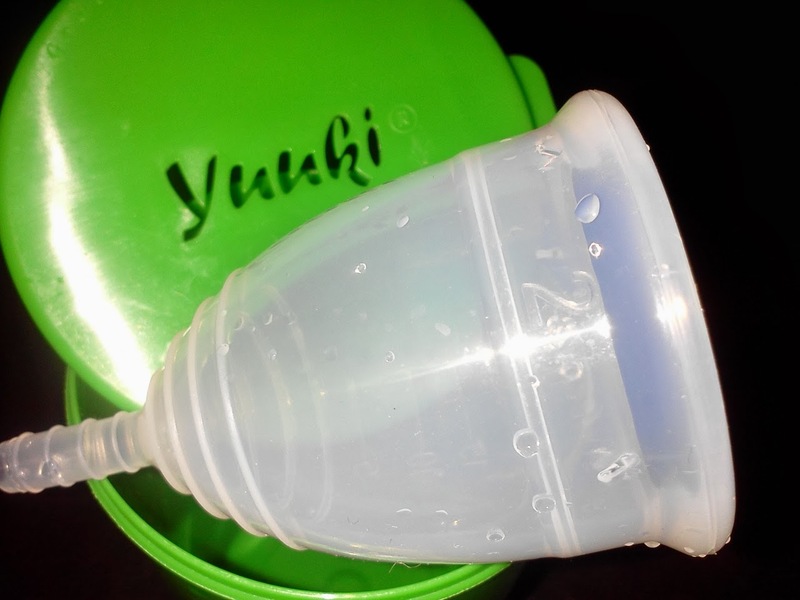 So, to my surprise, I got my Yuuki Menstrual Cup in the mail today. 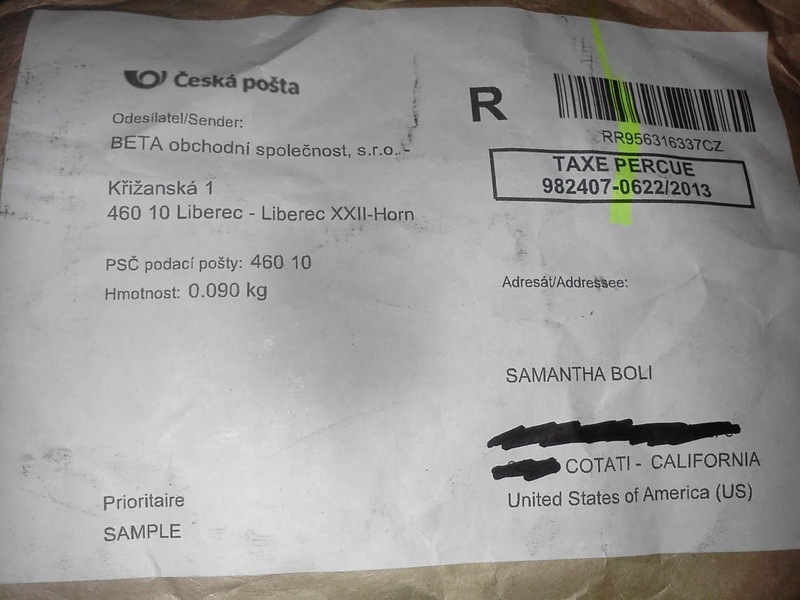 All the way from Czech! My mailman even had to ring my doorbell and have me sign for it. I love that... Mostly because I never get mail. Ha! I have to say a huge THANK YOU to the Yuuki company for sending me their cup to test out and review. After doing some research on their website http://www.yuuki.cz I learned that they have a sanitary room where the cups are made. The room even has a separate entrance, anti-static floors, and even a separate air conditioner! I find that pretty impressive! One thing I find interesting is that they have a list of disadvantages on their website. Talk about being transparent! I appreciate the information they offer on their website. When I opened up the package, I was super surprised and excited that they sent me the Infuser as well as a Size 2 cup. 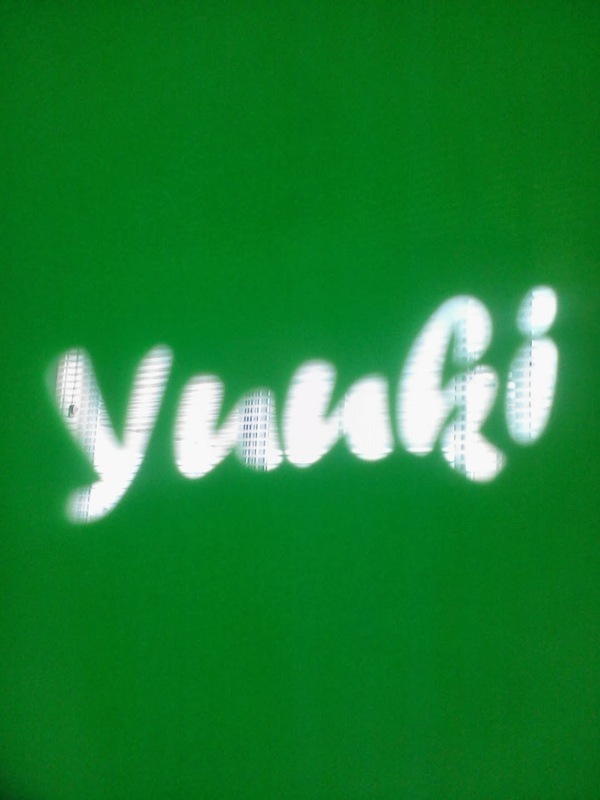 I love the bright green infuser cup with the word Yuuki carved out of the lid for ventilation holes. The infuser cup has simple instructions as well. They are photographic instructions on how to use the infuser cup. Very user friendly. The instructions are for microwave use. The cup... the cup is the main event, right? I have to say right off, I am super pleased with the cup. It is somewhat firm. Firmer than I'm used to but I like that. The cup is clear with measurement lines. One of the things I like most about the cup is that the holes are high up. The suction release holes are angled downwards to allow maximum capacity. The measurement lines go up to 15 ml. but the holes are far above that so I think this cup could hold at least 20 ml. That is decent capacity. The cup is transparent. It has wonderful grip lines at the bottom, towards the stem. Speaking of the stem... I really like this stem! It is hollow and flexible. I have a feeling that I will have to trim the stem a little but not by much. There is also an instruction pamphlet for the cup with detailed instructions in several languages including: Russian, Spanish, Portuguese, Italian, French, German, Polish, and English. It has a diagram of how to do a "C Fold". There a not any diagrams to help with insertion , however, there are written instructions that will help with: what to do before insertion, cup insertion, cup removal, as well as cup cleaning. Over all I'd say that the instructions are to the point and useful. The first thing I did after opening my package was use the infuser cup to sterilize my cup. The infuser cup made it very simple to sterilize my cup. I have heard stories of people burning their cup while boiling it in a pot of boiling water. This product makes it next to impossible for anyone to ruin their cup by burning it. I really love the infuser cup!! Now that it's sterile, I was ready to insert it. This cup is firmer than I'm used to but I have a feeling that it will help me by making it easier to pop open. The size is similar to what I'm used. I was able to insert it and get it to pop open, and seal with no problem at all. Instantly, I knew that I was going to love this cup. Even though the cup is firm I couldn't feel it inside of me at all. It is so comfortable! One of the way I will test any cup I get will be to wear it to the gym. This is an important part of my life and I have always had to skip the gym, during my period, in the past. That was before I made the amazing switch to menstrual cups. I am happy to say that I was able to complete my vigorous circuit training routine while wearing my Yuuki Cup. I never felt it move, shift, or (my biggest fear) slip down. I have to say, I really really like this cup. Further, I really like this product as a whole. It's comfortable and practical and very user friendly. I also dare to say that as of right now, this is my top 2 favorite cup! Thank you, once again, Yuuki for making an amazing product. 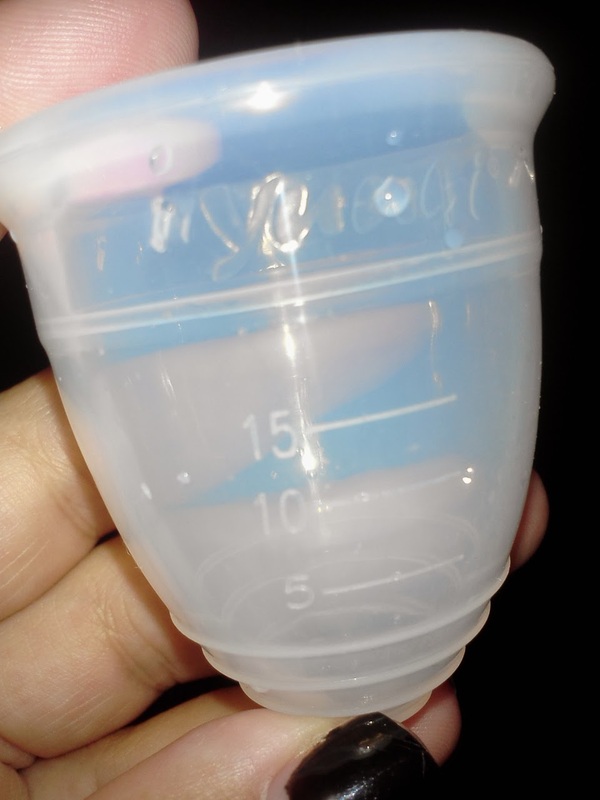 I would recommend this cup to other menstrual cup users. Maybe not a first time menstrual cup user, though. It is a lot of cup and it's quite rigid. I would give this cup 7 out of 10 stars! Did you recieve the soft or classic yuuki?